Hey folks we told you before that Sn0wbreeze will be updated to work on iOS4.2.1 and preserve the Baseband for those who are on iOS4.0.2,4.0.1,4.0,3.1.3, those people can preserve their baseband and update to iOS4.2.1 and perform an Untethered Jailbreak. @Wyse recently tweeted some screen shots of the upcoming Sn0wBreeze V2.2. Below you can see the Screen shots. 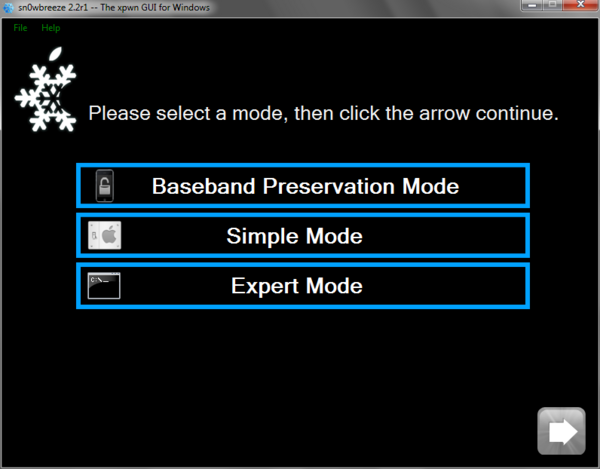 After seeing the Screen shots we can see only Baseband Preservation Mode is added till now as a new feature. But it is expected that it will also have Animated boot logo feature. The best thing about this upcoming version will be that you will be able to play PAC MAN while cooking the firmware. Sn0wbreeze is an alternative of the PWNAGE Tool. The only difference is that it is for Windows users and PWNAGE Tool is for MAC. But this upcoming release will not only perform an Untethered Jailbreak for iOS4.2.1 and preserve the baseband but it will blow you off with it’s new feature. We will tell you when this beast is out and then you can enjoy making the Custom IPSW. We bet you will make a Custom IPSW more than one time.